Outlook PST Finder is a tool that will find and copy MS Outlook PST files from multiple machines under a network domain. It will display the list of PST files and allows user to save them in a desired location. Software finds the OutlookPST Files in single machine as well as all the machines listed under the same network domain. The user can copy all the PST files or only the selective PST files and save them in the local system. 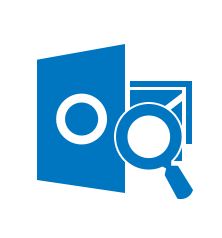 The Outlook PST Finder is available in Demo version for trial purposes to understand the working of software. It will only give the preview of all the PST files found and the License version of software can be purchased that allow user to save the PST files found. PST files are very familiar with the Outlook Account users. Personal Storage Files (PST) are the main storage repository of all the data items in MS Outlook account containing the emails, contacts, calendars, tasks, journals etc. Though one PST file is generated at the time Outlook account is created, it can have more than one PST file. If an organization is using Outlook as a common platform for their work purposes, each employee will have PST files in each machine. Why Outlook PST Finder is used? Let us imagine a situation where an organization that were previously using Outlook email client encountered some issues due to which all the employee’s machine needs to remove applications. Removing applications may include MS Outlook. What can be done to save the data items in each employee’s accounts? We can find the PST files present in all the machines connected under a same network domain with the help of Outlook PST Finder. It will list the PST files found in each machine by providing the domain credentials of machine and provides option to save the PST files in local system. It supports almost all versions of Windows OS. The tool provides option to copy and save all the PST files by which the employees can retrieve their respective data items. Does the software need presence of MS Outlook in the system for searching the PST files? No, the software works smoothly and finds all the PST files in the network machines without the presence of MS Outlook. Will the Outlook PST Finder support both the PST file types ANSI & UNICODE format? Yes, the PST Finder can find both the types of PST file formats ANSI and UNICODE stored in the network machine. Can I select only the desired PST files and save only those files in my system? Yes, the software will let you to choose the desired PST files among the list and save them in local system. Optionally, you can save all the PST files found. Can I check the attributes of PST files found after the search process using Outlook PST Finder? Yes, the PST Finder will list the PST files found along with its attributes like name of file, size, creation date etc. making it easy to sort the PST files.